With the ever-growing number of employees working in the Marcellus Shale gas drilling field comes the increasing risk of workers being injured on the job. Here at Dougherty, Leventhal & Price, we have the experience to assist you in the litigation of your workers compensation injury claim should you be injured on the job. A work injury can often be the result of the negligence of a third party. In such situations, the injured worker, in addition to having a claim against his employer under the Workers Compenastion Act, may also have a civil liability claim against the negligent third party whose action caused or contributed to the injury. 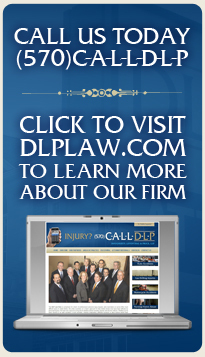 The lawyers at DLP will carefully review your case to insure that all of your rights are properly protected and that you are fairly compensated for your injuries.